Today I thought I’d take a break from Markets-in-Minutes and talk a little about loss management. There’s an old phrase that a bull market makes everyone a genius. And to some extent it’s true. It seems almost hard to lose money in a bull market, which is why so many investors get hurt so badly when the bear drives the bull out. As a professional manager, I’ve been fired a couple times for not keeping up with the market in a given year. Investors that chase the market, and there are many of them, are failing to confront the mathematical reality of investing – it’s more important to protect capital than it is to maximize returns. Here is a simple illustration. The chart below tracks 2 investors in the S&P 500 since January 2000. The red line is the result of an investor buying the S&P 500 and doing nothing but hold it through December 2016. In between were 2 gut wrenching recessionary bear markets, and years and years spent waiting for the account to make it back to break even. “Red” believes if you want ride the rallies you gotta endure the valleys. It’s a neat phrase he heard from his financial advisor. The green line is an investor that buys the S&P 500, but whenever there is a recession this investor takes the simple precaution of reducing risk by 50%. When the recession goes away, the investor simply takes the cash set aside and buys back into the market. He’s isn’t worried about the gains – his eye is on the losses. This investor misses the top and the bottom, but his initial investment isn’t any different than Red’s, nor are his initial gains. But in investing, as in football, it’s defense that wins championships. Time to get back to initial investment: 5 years. Time account stayed positive between recovery and next crash: 14 months. Time to get back to initial Jan 2000 investment 5 years. What happens if you play defense every month instead of just when a recession hits? Below is the BXM Index (Green) vs. the S&P 500 Index (Blue) since 1989. The BXM is always partially hedged, meaning that it trades part of the potential upside gain each month to get some downside protection. From 1989 to 2016 the BXM Index returned +1058.7% vs. the S&P 500 Index at 731.9%, and held gains far better during crashes. Again, clearly its defense that wins championships. What if you combined a BXM derived strategy with a recession risk reduction strategy? If you are a current ACI investor, you are in luck. This is exactly what ACI’s Market Income portfolio does. If you are not a current ACI investor and would like to learn more about how a solid defense might help you do better with your investments, you are also in luck. Just send an email to updates@aciwealth.com that includes your first and last name, the city and state you live in, and “subscribe” in the subject line. Include your questions. We’ll add you to the weekly updates newsletter, reserve 2 slots for you our online educational event “Winning on Wall Street in the New NOT Normal,” and answer whatever questions you have. Please share with one friend that can benefit from this information. Share buttons below to make it easy. While the RPI has proved to be very accurate in the past, there is no guarantee it will prove to be correct in identifying recession in the future. There are inherent limitations in hypothetical or model results as the securities are not actually purchased or sold. They may not reflect the impact, if any, of material market conditions which could have has an impact on the manager’s decision making if the hypothetical portfolios were real. Historical performance does not take into account either transaction or management fees and is shown for illustrative purposes only – no illustrations contained in this article should be interpreted as an indication of performance of any ACI portfolio.The Chicago Board of Exchange S&P 500 Buy/Write Index or “BXM” has historically displayed less volatility than the S&P 500 and Market Income. There are no guarantees it will continue to do so in the future. Before we get going, I was recently asked what the point is of understanding whether or not we are entering a recession. This person had been told by their broker that to “ride the rallies you have to ride out the valleys.” Catchy, right? The reason to understand when the economy is falling into recession is because around 80% of the time the stock market sells off hard when it does. The market usually takes a few months after the recession actually starts to figure it out, but once it starts selling most of the time it keeps going far longer than anyone other than a billionaire likes to see. The other reason- when the market itself starts into recessionary selling, 70% or more stocks follow the market down. Think of it this way. If you were getting into your car this morning and you received a credible message that there was nearly an 80% chance you would get in a car accident today, and that about 70% of the cars on the road were also going to be involved in a crash today, would you crank it up and head for the freeway or would you decide to preserve your car (and maybe more than that) and stay at home? Now that doesn’t mean that you should stay at home at all costs, but if those were my odds for the day, I’d sure like to know about them before I decided to take a drive. So, my firm and I use what’s called the Recession Probability Indicator (“RPI”) to identify whether or not we are in (or entering) a recession. Think of it as a lookout in the crow’s nest of an old school sailing ship – he’s keeping an eye out for storms or rocks so the ship gets where it’s heading safely. My firm and I use the RPI for the same reasons – to help steer client accounts away from storms and rocks so they can live their lives focused on what’s important to them rather than worrying about the next market crash. We aren’t going to see every single rock or approaching storm, but if we weren’t looking we wouldn’t see any of them. I think of it as Wealth Preservation 101. It’s basic. Absent a recession, it’s best to stay invested. If you’d like more information on this idea, follow this link —> CLICK HERE. So, if recession is what we need to pay attention to, are we in one yet? Consumer activity drives about 70% of the American economy and spending is still rising at +4.2% vs. last quarter. As a result, we are seeing a slightly reduced probability of recession vs. earlier in the year. This is subject to change, but for now the investment climate is stable and likely to stay that way for a while longer. If you don’t know how the Recession Probability Indicator works, CLICK HERE. Make sure to scroll down to take a look at the tables below the description. Below is an updated graph of the RPI. It runs on a 2 – 3 month lag. If you’d like to take a look at the American Institute of Economic Research business conditions update CLICK HERE. Please share with one friend that can benefit from this information. Share buttons below the chart for your convenience. Will Brexit Take the Market Down? Will Brexit Take the Market Down? Only in the Short Term. 1) Odds are UK stays. If it stays markets should stay stable or move up incrementally. 2) If UK exits, equity markets could sell down 5%-20% peak to trough. 3) The real economic impact to the US is likely very small, bordering on irrelevant. 4) My current view is that markets should recover very quickly, 60 days or less as long as the US isn’t driven into recession by non-Brexit factors. 5) If Brexit does occur, at this point it should be viewed as a buying opportunity particularly in certain US sectors and high quality stocks. For those that don’t know what the Brexit is, the United Kingdom is holding a referendum vote June 23 on whether to stay in the European Union. Policy makers and investors from Janet Yellen to George Soros have held forth on the impact of Britain leaving the EU and nearly unanimously warn markets are likely to have a strong “risk off” reaction if Britain leaves. In English, that means that our talking heads expect the markets to sell off substantially if the United Kingdom bails on the EU. Estimates for the market turbulence range from -5% down to as much as -20%. The first thing to consider is that it’s always to important to invest based on what IS and not what IF. Odds are Britain will remain in the EU. But even if it doesn’t, the actual economic impact in the US is likely to be small, and probably very small. The British Economy makes up approximately 2.4% of World Gross Domestic Product versus the United States at 17% – 20%. The US exported approximately $117 billion in goods and services to the United Kingdom in 2014. To put that in perspective, US Exports for 2014 totaled about $2.35 Trillion. Exports to Britain account for approximately 5% of US export trade. In 2014, US GDP was $17.9 Trillion, so British exports accounted for approximately 0.65% of the US economy. Some experts predict the British economy may see a contraction as large as 6%. Without taking into consideration potential currency impact on US trade as a result of the impact we could estimate a “worst” case scenario of a 12% reduction in US exports to Britain, or about -$14 Billion in lost exports. In this aggressive illustration, US GDP would see an impact of approximately -0.06% based on 2014 numbers, the most recent available. To put this in perspective, Apple had $53 Billion in net income last year. If Apple only made $39 billion next year (or the year after) would it take down the US economy? No. Neither will a Brexit. The indirect impact on US exports from effects of a Brexit on our other trading partners is even less substantial. What is a bit more difficult to quantify is the impact a Brexit might have on US multinationals with large operations in the UK, particularly in the banking sector. However, even a 6%-12% contraction in UK banking revenue is unlikely to do any lasting damage to the major banks and is most likely to express itself as a mild dip in earnings for the next 2 quarters as US banks with British exposure restructure around the new reality. A mild dip in banking sector earnings is nothing new, and unlikely to cause a recession or have any other lasting impact in the US. Let’s not forget how often policy makers and talking heads have been wrong in the past. It may be that regaining Sovereignty will allow Britain to more aggressively sign favorable trade agreements that boost her economy while reducing both the drain in dollars paid to the EU for membership and unwanted immigrants that appear reluctant to integrate and place an additional load on the UK social system. Given the above, any sell down as a result of a Brexit should be viewed as a buying opportunity absent recessionary weakness in the US. Please use the form at the right or the contact button for my firm if you have questions. Please share with one person that can benefit from this information. Share buttons are below for your convenience. Will a Fed Rate Raise Put the U.S. In Recession? Once again, media pundits are all atwitter about the idea the Fed will raise rates either this month or next, putting the US into Recession. As before, this is less about the actual impact to the economy and more about attracting eyeballs to either sell advertising or convince investors they have to do something and do it NOW, which generally rewards Wall Street. While the risks have risen since the last Recession Probability Indicator update, they are still within the “Stable Investing Climate” range. Historically, investors have been best served by making few, if any, changes to their portfolios when the investing climate registers a “stable” reading on the RPI. The Recession Probability Indicator (“RPI”) scored a 17 at the most recent reading, meaning the economic environment for investment is stable and below the “reduce risk” warning level of 20. That is subject to change but as with all things that have to do with investing, it’s better to take direction from facts and not fears. Most of the time the RPI moves between 3 and 17. The market can move around a lot even with a stable reading. Despite that, history vastly favors those who stay invested as long as there is no recession imminent. If you’d like to understand why it’s important to try to reduce risk ahead of recessions CLICK HERE. My outlook at the moment is that the Fed will hold off in June but is likely to raise in July if things are as they are right now. My opinion is that if the Fed raises in June, it means they have assurances that the British will not exit from the European Union. Conversely, if they do not raise in June that suggests they are holding fire because they don’t know what the Brits are going to do. If Britain does exit the EU I do not believe the Fed will raise until the impact of such a move becomes clear. That may mean September, that may mean later. If oil falls again in the interim, that may also put off rate hikes as the inflation numbers will mitigate slightly. Regardless, the US economy is capable of withstanding a rate raise. However, such a raise combined with a British exit from the EU is likely to stoke fear in investors and result in yet another double digit sell off. Barring recession, such a sell off represents opportunities rather than obstacles. Please share with one friend that might benefit from this post. The video below reviews performance for all 6 Process Portfolios year-to-date through April 15, 2016 and also includes an updated Market Outlook near the end. 2016 saw the worst January in at least a generation and a return to higher levels of volatility thanks to central bank actions that seem to be increasingly opaque to many market watchers. I’ve been fortunate in that the Fed hasn’t done anything far distant from my expectations, at least so far. We’ve also seen the financial media predictably stoking fear and the usual parade of media guests short on data but long on opinion. Regardless, careful students of the markets have seen a number of signs that suggest we may see smoother waters later in the year, as long as the economy does not move onto a recessionary footing. Overall, reasonable performance with 4 of 6 portfolios beating the benchmarks, and 3 of 6 outpacing the broad market. Most portfolios have managed to do so with less risk than investing in an index fund. It’s fair to say it’s been a very good quarter for the 3 portfolios that clocked a 4%+ return, 2 with substantially less risk than buying an S&P 500 index fund. That’s a nice result for such a tumultuous period. The video below features the executive brief and results updates in the first 4 slides. Feel free to use the video player’s tools to skip ahead to what you are interested in. Thereafter there is a little more “color” on each portfolio followed by an updated Market Outlook. Rounding out the periphery of the presentation are descriptions of each ACI Process Portfolio, including risk management. This video concludes with the always exciting regulatory disclosures, which seem to get longer by the day. We can thank the admirable solidarity law school graduates in government demonstrate with their private sector compatriots, constantly striving to make sure their fellows on the other side of the fence have plenty of work. As I know everyone loves to read the disclosures, I’ve had our theme music looped at the end to give you an even better reading experience. Please share using buttons below. There has been a lot of economic doom and gloom talk over the last couple months, with media “expert” after media “expert” saying the US economy is about to fall into a recession. It comes with the predictable warnings about a bad bear market. The vast majority of these talking heads are just voicing opinions based on their own views and often get emotional when voicing their perspective. The problem with these “experts” is there very little in the way of factual economic data to support any of their positions. Understand that investing is not an activity that benefits from either uninformed opinion or emotions. In fact, the opposite is true – uniformed opinions and emotional decision making often cause grief to investors. Success in the investment game is primarily about WHAT IS, not WHAT IF. What IF is the progenitor of fear and greed, arguably the cause of more financial grief than Alan Greenspan (that was a market nerd joke). What IS, by definition, restricts consideration and decision to the facts at hand. I’m sure you’ve gone to a doctor at some point in your life because you had a cold – runny nose, sore throat, a bit of fever, maybe some aches and pains. Has the doctor ever said, “What if this isn’t a cold? What if this is pneumonia? What if one of your lungs is collapsing? Could it be that you have cancer? Maybe you are sniffling because you are about to fall victim to a hemorrhagic fever and the bleeding has started in your sinuses? Maybe you are achy because you are going to come down with Dengue Fever? Is it possible this is Malaria? Do you believe the doctor could effectively manage your condition if the diagnostic conversation was about What IF rather than What IS? Investing is no different. Any effective conversation or action has to be about What IS. What IF is basically irrelevant. So, let’s look at What IS. At the most recent reading, the Recession Probability Indicator is cruising along at a steady 12, meaning the overall investment environment continues to be stable. That is subject to change, but for right now there is no recession on the horizon and in fact several key areas of the economy strengthened in the most recent month. If you aren’t familiar with the RPI, CLICK HERE to see how well it works. Manufacturing, responsible for about 30% of our economy, moved back into expansion mode last month for the first time since last fall and the non-manufacturing sector of the US economy also strengthened a bit, which is good news for the other 70% of our economy. A reminder – just because there is no recession doesn’t mean the market can’t go up and down, but that history vastly favors those who stay invested despite volatility, as long as there is no recession imminent. If you’d like some evidence, take a look at the facts– Why Recessions Kill Investment Portfolios. Fear helps the media sell advertising and brokers increase commissions, but it doesn’t help your investment portfolio get you to retirement with the assets you need to live the way you want to. The point? Don’t let short term noise get in the way of a solid investment plan. Only impending recessions should do that, and if you have a real investment plan, you already know what you are going to do when the next recession comes. Don’t have a retirement income and investment plan? Newsflash – one of the key differences between the wealthiest investors and the average person is that they know what they have to invest and save and when they need to do it. We can help. Use the contact page or email and we’ll have a no pressure, get to know chat to see my firm and I can add value to your life. Please share with the buttons below. Stock Market Outlook Q1 2016: Impending Bear Market Or Just A Correction? I’ve front loaded this video with most of my observations in the first 4 minutes for busy subscribers/clients, but for those interested in more than a summary opinion I’ve included a deep dive into what I’m seeing in the market that drives my current view. In slide 11, the red line somehow moved when I converted the presentation to video. It should be around the 23.5 mark rather than the 27 or so displayed. FYI. We’ve seen a lot of headlines recently, most of them pretty alarming to the average person. Hand in hand with those headlines we’ve seen markets make some of the most substantial short term moves in recent history. In the first 5 market days of 2016 the S&P 500 dropped nearly 6%, the biggest 1 week drop we’ve seen since August 2011 (when the S&P dropped about 11% in 5 days). The deluge of negative news stories and depressing angles on the global economy and the stock market can be overwhelming and really create the idea that some kind of action has to be taken or something terrible will happen. Reality, at least at this point, is more than a little bit different. 1) The Federal Reserve is less able to suppress market volatility in the short term as they guide to higher interest rates. 2) Market volatility is likely to return to pre-QE levels. 3) Short term market swings in both directions will be larger and occur faster as a result. 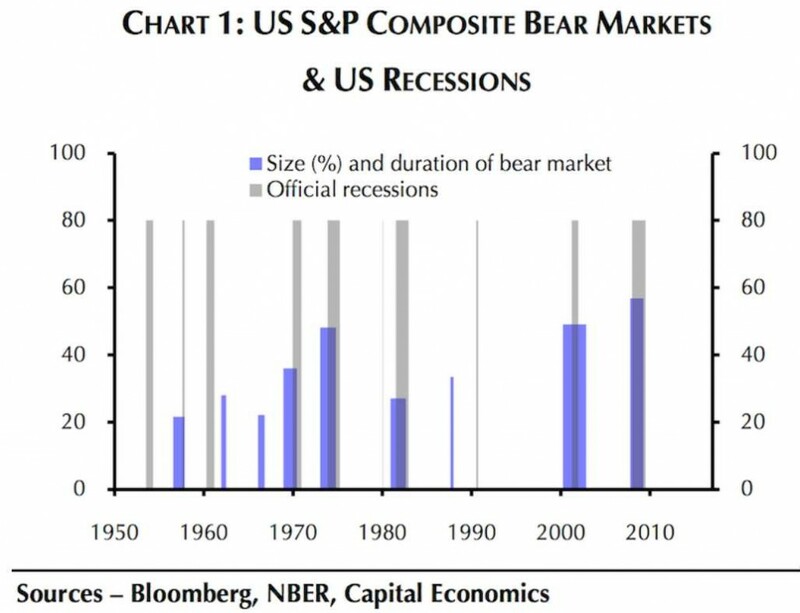 4) Bear markets are almost always accompanied by recessions. #1 answers the “why” of what we are seeing, and #2 and #3 describe the immediate result of #1. #4 is the reason successful investors aren’t going to let the first 3 drive them to take actions that are likely to hurt their investment goals. As you may have surmised, investors that exited the market in 2011 due to fear missed out on a substantial move up in the market, and a lot more money in their investment accounts. This is like running out of a building when the lights go on and off for a couple minutes because you are afraid you might die in a fire. Most of the time, lights going on and off don’t mean the building is on fire. Most of the time, smoke means a building is on fire. Right now, the lights are flickering in the market, but there isn’t any smoke to indicate a recession. So, how do the most successful investors deal with flickering lights? According to a recent LPL behavioral finance paper on 5 Common Investor Mistakes, the top 3 things successful investors do differently are 1) They do not react to easily available information (read that as media headlines and the underlying stories, i.e. incomplete information), 2) They basically completely ignore short term performance (including the deluge of messages about short term events in financial markets) and 3) They follow their investment plan, not the herd. What’s really interesting is that the less successful an investor you are, the more likely you are to act on incomplete information (i.e. headlines and media articles, short term falls in stock prices). Wealthy, successful investors beat the average investor by a measurable margin year in and year out. They are less likely to panic sell and they maintain long term perspective. That doesn’t mean they buy and hold no matter what, but they are not affected by short term market noise and rarely trade assets for cash except in the face of looming recessionary bear markets and the high probability of serious losses. So, it’s clear the common denominator of bear markets is recession. Only 2 bear markets occurred without a recession, and they were shorter and shallower than the others. Bear markets that don’t include recessions last an average of 5 months and drop 30% less. They generally don’t result in catastrophic damage to investment portfolios. * While valuations are high in some areas they are not in bubble territory in comparison with the past. So, until one of these situations experiences a material change, the most successful investors will continue to prosper by sticking to their investment plans. Yes, the lights appear to be flickering. But it pays to wait for smoke before deciding the building is on fire. Thinking about working with an investment manager at some point? CLICK HERE to learn how my firm and I work with clients. Is 2016 the Year of Recession? This question seems to be on everyone’s mind and even the media talking heads have jumped on it to grab readers & viewers. Spoiler: As of today, there is no recession on the horizon. The Recession Probability Indicator (“RPI”) scored a 12 at the most recent reading, meaning the economic environment for investment is stable. That is subject to change but as with all things that have to do with investing, it’s better to take direction from facts and not fears. My personal opinion is that the odds of recession are higher in 2016 than they were in 2015, but the fact remains: no recession yet on the horizon. That doesn’t mean the market can’t go up and down (sometimes a lot), but that history vastly favors those who stay invested despite volatility, as long as there is no recession imminent. Don’t take my opinion, click the title at the right to see the facts– Why Recessions Kill Investment Portfolios. The second block of $100,000 is, to be simple, going to move to 100% cash as soon as it looks like there may be a recession coming. Call that the “RPI Guided” for Recession Probability Indicator. Where are these two investments at the end of December 2015? As you can see below, it pays to make rational decisions about investments rather than getting caught up in short term volatility or whatever the media clones are spouting off about. As I observed in one of last month’s articles We May Have a Bump Coming in the Markets (click title to read) it wasn’t clear a Fed rate raise was going to be the positive short term catalyst many market observers & participants thought. It may be that much of what we are seeing as we start 2016 is the holiday-delayed reaction to the Fed raise, mixed in with a liberal dose of alarming headlines arising from a wide spectrum of topics, some of which have no real bearing on investing. Some (me) might say most of which have no real bearing on investing. Remember, fear helps the media sell advertising and stock brokers earn commissions, but it sure as heck doesn’t help investment portfolios do what they are supposed to do, which is be there for you when you retire, with the assets you need to live the way you want to. Don’t let short term noise get in the way of a solid plan. Only impending recessions should do that, and if you have a real investment plan, you already know what you are going to do when the next recession comes. For those that don’t know, the vast majority of analysts and institutional investment managers believe that the Federal Reserve will raise rates for the first time since the Great Recession December 16th. They also see this as an overall positive for the markets. So if almost everybody (79.1% of economists and institutional managers as of 12/4) thinks the rate raise is coming and is a positive, why this article? The equity and bond market reaction to the European Central Bank’s mildly disappointing stimulus package on December 3 seems to indicate investors are less prepared for a rate hike than the institutional consensus may think, whatever surveys indicate. In the last several days we’ve also seen markets selling off on any news that seems to support a decision to raise. As a result, a positive market reaction to a hike the 16th is far from certain despite the consensus belief of managers. They may be right, but it’s important to understand how to react if the consensus is wrong. Once the initial reaction is over, the market will likely turn its attention back to earnings, the broad economy, and stock market alternatives – -when that happens investors will realize they still have nowhere to go for yield and that US domestic stocks still represent the smallest risks out there as well as the best opportunities for risk adjusted returns. Markets will very likely stabilize and perhaps rise in the 5%-10% range in 2016, barring a new recession. Instead of just taking my opinion, let’s look at some data. Since 1950 we’ve seen 9 true bear markets. Only 2 were not accompanied by a recession, one in the late 60’s and again in 1987’s Black Monday crash. Both of those bear markets were short duration and shallow vs. the average bear, with negligible impact on the portfolios of more astute investors — 1987’s crash came near the middle of the greatest bull market we’ve ever seen. Investors that panicked and sold missed out on spectacular returns in the coming years. Why does this matter? Answer below the chart. We can see from the chart above that it isn’t bear markets or periods of choppiness that investors need to fear, it is bear markets that go hand-in-hand with recessions. These are the markets that cause massive damage to portfolios – everything else is pretty much just noise. Recall last week’s post on the why of the Recession Probability indicator, and the fact that it sounded warnings months ahead of most bear markets. It also clearly illustrated the benefit of staying invested absent a recession. For those that didn’t read it, here is a link – it is well worth your time if you are truly interested in long term investment success. CLICK HERE. While the overall market may have been disappointing in 2015 and headlines seem to get progressively more alarming, the reality is that investors that ignore short term market noise and only react when recessions loom are richly rewarded for their perspective – this understanding of the markets can result in additional tens of thousands, hundreds of thousands or even millions depending on the size of the account. To be clear – there does not appear to be an economic recession on the horizon at this point. There are some valuation issues in the markets, but that’s another conversation. In conclusion, while I expect some short term difficulty whatever announcement the Fed makes on the 16th (and perhaps even a return to the August lows if the message is not communicated well), without a recession to accompany it the odds are vastly in favor of being rewarded for staying invested at this point. Uncertainty is the friend of the intelligent investor and the bane of the emotional. For ACI, investment management begins with understanding and actively managing risk for our clients and partners. We do this through smarter investments built on low cost, highly liquid and diversified investments rather than expensive financial products. ACI uses customized planning and software to create retirement income plans to meet the specific needs of each of clients while providing confidence, flexibility, and cost efficiency. Success in any endeavor comes from hard work, vision, and planning. We can help you create a more confident future by working with you, your CPA, your tax and estate counsel to make sure that when the tomorrow becomes today, you are where you want to be. This portfolio invests in a basket of highly liquid Index or Sector securities and sells off atypical returns in exchange for a premium on a rolling basis. That’s a fancy way of saying we take the bird in hand and let someone else have the two in the bush. We buy sectors that are undervalued relative to the rest of the market or vs. their historical value ranges which reduces downside risk vs. the broad market. 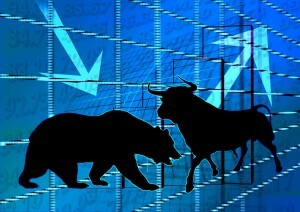 Typically out-performs in bear markets, neutral markets and mild bull markets. while under-performs strong bull markets. Invests in diversified components of the financial markets and broad economy by targeting sectors which demonstrate the greatest potential for a consistent range of multi-year returns, while offering a risk adjusted investment profile equal to or lower than the broad markets. Our research tells us which sectors demonstrate the greatest potential for consistent multi-year returns while offering greater risk efficiency than the broad markets. We invest on an “Outcome Oriented” basis – meaning we have a good idea what the returns over time will be at a given purchase price. This portfolio invests in companies possessing a Durable Competitive Advantage. Such companies are likely to be around for decades, easing the concern of principal return. DCA companies often suffer less in bear markets and usually lead recoveries. These companies allow ACI to build portfolios with minimum expected returns that can be in the mid-single digit range over any 3-5 year period which can provide long term stability partnered with long term growth in equity. Diversified, broad exposure to fixed income ETFs and best of breed no load funds including core fixed income components such as Government, Corporate or MBS, municipals, and unconstrained “Go Anywhere” funds. I will not share your email address or contact information with unaffiliated third parties under any circumstances except as required by law or at my discretion if information is requested by law enforcement. DakHartsock.com protects the security and confidentiality of the personal information you supply to the site and makes efforts to ensure that such information is used for proper purposes in connection with your interest in the site or the published materials on www.dakhartsock.com I understand that you have entrusted us with your private information, and I do everything possible to maintain that trust. As part of protecting your privacy, subscribing to updates from dakhartsock.com requires you to opt-in twice: once when you complete the opt-in form on the site, and again via the email address you provided. This is not a contract, but a clear statement of good intent. This web site reflects the opinions of Dak Hartsock and is not intended to offer personalized investment advice. Information regarding investment products, strategies, and services is provided solely for educational and informational purposes. Other information provided on the site, including updates on the Recession Probability Indicator (“RPI”) are presented for educational purposes and are not recommendations to buy or sell securities or solicitation for investment services. Dak Hartsock does not provide personalized investment advice over the internet, nor should any information or materials presented here be construed as personalized investment or financial advice to any viewer. Mr. Hartsock is not a tax advisor and investors should obtain independent tax advice regarding investments. Neither Dak Hartsock, ACI Wealth Advisors, nor any affiliated persons or companies accept any liability in connection with your use of the information and materials provided on this site. Dak Hartsock is a Series 65 licensed and registered Independent Advisor Representative with ACI Wealth Advisors, LLC (“ACI”). ACI is a Registered Investment Advisor (“RIA”), registered in the State of Florida and the State of California. ACI provides asset management and related services for clients in states where it is registered, or where it is exempt from registration through statute, exception, or exclusion from registration requirements. ACI is in no way responsible for the content of DakHartsock.com nor does ACI accept any responsibility for materials, articles, or links found on this site. A copy of ACI’s Form ADV Part 2 is available upon request. Market data, articles, blogs and other content on this web site are based on generally-available information and are believed to be reliable. Dak Hartsock does not guarantee the accuracy of the information contained in this web site, nor is Mr. Hartsock under any obligation to update any information on the site. Information presented may not be current. Any information presented on this site should not be construed as investment advice or a solicitation to buy and sell securities under any circumstances. Visit http://www.dakhartsock.com/process-portfolios-historical-performance/ for historical performance of ACI’s Process Portfolios. 1. The performance of the broad market over the same time periods is included for both model and live portfolio to help investors understand market conditions present during the period examined by the model and during live investment. 2. Listed Index models and graphs do NOT include transaction, fund or Advisor Management fees as the index model is not available for investment. Live portfolio results include all fees, including Advisor Management fees. 3. Model results do NOT reflect reinvestment of dividends or other earnings. Actual results reflect limited reinvestment of dividends and other earnings, but do not reflect the impact of any applicable taxes which vary by investor and account type (deferred account vs. taxable, etc.). 4. Investing involves risk, including risk of loss and/or principle. While the Index model has historically shown reasonable performance versus the S&P 500 on a risk adjusted basis, there is no guarantee that will continue into the future. Market Income is designed to provide reasonable returns for less risk than the broad market on a risk adjusted basis, and while the firm believes model portfolios are capable of continued outperformance on this basis, there is no guarantee they will do so. Comparisons with the S&P 500 are included to help the average investor understand how an investment in Market Income may differ from investment in an index fund such as an S&P 500 index fund. 5. The model for Market Income is the Chicago Board of Exchange S&P 500 Buy/Write Index or “BXM.” BXM has historically displayed less volatility than the S&P 500 and Market Income. BXM cannot be directly invested in. Market Income does not exactly follow the BXM index model – the mechanics of closing and opening positions differ – BXM opens, closes or rolls positions on the same day every month regardless of the profit or loss in a position – Market Income generally, but not always, waits until after expiration before transacting. Market Income will also close or roll ahead of expiration if the position has a high percentage of profit present in order to capture that gain. Options are generally sold again within a week of the closure of the prior position, but not always, and often new position may be opened the same day the prior position is closed. Benchmark and index comparisons are made on a best available basis – meaning that both the index model and live performance are believed to be compared with market and the closest possible benchmark for simplicity of comparison. However, there is no guarantee future volatility will be either less than, equal to, or greater than the volatility experienced in the model or the S&P 500 although the firm invests with an eye on reduced volatility vs. the S&P 500. 6. The model portfolio (BXM) utilizes the S&P 500 as its basis. Market Income differs from BXM in that the underlying securities are primarily selected on the basis of “relative” value. This simply means that sectors are compared with one another and Market Income generally invests in the sector or sector(s) trading at the greatest discount or the smallest premium relative to its historical average valuation. Other factors are also considered including sector earnings growth and expected return versus other available sector instruments. Advisor believes this gives Market Income a higher margin of safety than repeatedly investing in the S&P 500 on a rolling basis without regard to value or prevailing economic conditions, while preserving liquidity. 7. The BXM model on which Market Income is based is a non-traded index. As such, results do not represent actual trading or investment and do not reflect any impact that material economic or market factors may have had on the advisors decision making if advisor had been managing live money during the period the model covers, including transaction, fund, or management fees. 8. Market Income also differs from the BXM model in that Market Income seeks to reduce investment during recessionary economic periods while BXM stays invested regardless of economic or market conditions. Advisor believes this will better protect capital vs. BXM model but is materially different than staying invested in all market conditions. This action may cause Market Income to have reduced participation in markets that continue to move up despite Advisors reduction in investment. 9. Advisor clients have experienced results that exceed the performance of the model to date. There is no guarantee Market Income will continue to outperform BXM in the future regardless of Advisor efforts to do so. 2. Model is a historical back test and includes brokerage and fund fees but does NOT include Advisor Management fees which vary by account size, but in general reduce annual performance by approximately 1.5%. Live portfolio results include all fees, including Advisor Management fees. Historical back-test means the model portfolio has been tracked on a backwards looking basis prior to the beginning of live investments in order to establish historical risks and results for investment in this portfolio. Back testing has certain inherent limitations as detailed in item #7 below. 3. Model results reflect regular investment of dividends or other earnings. Actual results reflect limited reinvestment of dividends and other earnings. 4. Investing involves risk, including risk of loss and/or principle. While the back tested Core Equity model has historically shown desirable performance versus the S&P 500 on a risk adjusted basis, there is no guarantee that will continue into the future. Core Equity is designed to provide reasonable returns for the same or less risk than the broad market on a risk adjusted basis, and while the firm believes model portfolios are capable of continued outperformance on this basis, there is no guarantee they will do so. Comparisons with the S&P 500 are included to help the average investor understand how an investment in Core Equity may differ from investment in an index fund such as an S&P 500 index fund. 5. The model for Core Equity is built of highly diversified, highly liquid sector and index securities, most frequently low cost ETFs. Core Equity live portfolios do not exactly follow the Core Equity model – variances in investor contributions, withdrawals, and risk tolerances result in measurable drift from the model. Over time, client accounts come closer in line with the Core Equity model. Core Equity live portfolios may differ from the Core Equity model in an additional material way; when valuations on certain sectors become overly stretched versus their historical average valuations, the Advisor may reduce exposure to those sectors in favor of a sector position which is priced in a more reasonable range in comparison to it’s typical historical valuation. Periodically, Core Equity may allocate a small but measurable percent of assets (up to 5%) in volatility linked instruments in an effort to better manage the portfolio. These factors may result in greater or less than model performance over time. Advisors believe to be suitable for simplicity of comparison. However, there is no guarantee future volatility or performance will be either less than, equal to, or greater than the volatility or performance experienced in the model or the S&P 500 although the firm invests with an eye on reduced volatility vs. the S&P 500. 6. Core Equity invests in diversified components of the financial markets and broad economy by targeting sectors or indices which demonstrate potential for a consistent range of multi-year returns, while seeking a risk adjusted investment profile equal to or lower than the broad markets. These sectors contain a range of equity stocks with an equally broad range of characteristics – some sectors are present in the Core Equity portfolio due to their historically defensive nature, some are present due to their historical growth characteristics, some are a blend of the spectrum between. The intent is to provide a balanced equity portfolio suitable for most investors as an S&P 500 index fund replacement but which seeks lower risk while experiencing, on average, a greater return than an S&P 500 index investment. 7. The Core Equity model results do not represent actual trading or investment and do not reflect any impact that material economic or market factors may have had on the advisors decision making if advisor had been managing live money during the period the model covers, including transaction, fund, or management fees as detailed above in item #2. 8. Core Equity live portfolios also differ from the Core Equity model in that Core Equity seeks to reduce investment during recessionary economic periods while the Core Equity historical model stays invested regardless of economic or market conditions. Advisor believes this will better protect capital vs. model but is materially different than staying invested in all market conditions. This action may cause Core Equity live portfolios to have reduced participation in markets that continue to move up despite Advisors reduction in investment. 9. Advisor clients have experienced results that slightly lag the performance of the model to date. This lag is due to a number of factors, primarily the fact that different clients allocate different dollar amounts to Core Equity at different times. In general, the longer a client has been fully allocated to the Core Equity portfolio, the closer it is to model performance. The benchmark for Core Equity (The S&P 500) has historically displayed greater volatility (risk) than the Core Equity model or live Core Equity portfolios. This may or may not be the case in the future. 1. The performance of the broad market over the same time periods is included to help investors understand market conditions present during the period covered by live investment. 2. Listed comparison Index graphs and statistics do NOT include transaction, fund or Advisor Management fees. Live portfolio results include all fees, including Advisor Management fees. 3. Actual results reflect limited reinvestment of dividends and other earnings, but do not reflect the impact of any applicable taxes which vary by investor and account type (deferred account vs. taxable, etc.). 4. Investing involves risk, including risk of loss and/or principle. While the closest benchmark for Market Momentum has historically shown reasonable performance versus the S&P 500 on a risk adjusted basis, there is no guarantee that Market Momentum that will continue such performance into the future. Market Momentum is designed to provide reasonable returns for less risk than the broad market on a risk adjusted basis, and while the firm believes the portfolio is capable of outperformance on this basis, there is no guarantee it will do so. Comparisons with the S&P 500 are included to help the average investor understand how an investment in Market Momentum may differ from investment in an index fund such as an S&P 500 index fund. 5. The closest benchmark for Market Momentum is the Chicago Board of Exchange S&P 500 Buy/Write Index or “BXM.” BXM has historically displayed less volatility than the S&P 500 and Market Income. BXM cannot be directly invested in. Market Momentum differs in key ways from BXM – the mechanics of closing and opening positions differ – BXM opens, closes or rolls positions on the same day every month regardless of the profit or loss in a position – Market Momentum targets closing or rolling positions based on technical factors including trend support and resistance. Market Momemtum will also close or roll ahead of expiration if the position has a high percentage of profit present in order to capture that gain. Options are generally not sold again until the underlying investment has moved into an area of resistance but not always; new position may be opened the same day the prior position is closed. Benchmark comparisons are made on a best available basis – meaning that live performance is believed to be compared with the closest possible benchmark for simplicity of comparison. However, there is no guarantee future volatility will be either less than, equal to, or greater than the volatility experienced in the model or the S&P 500 although the firm invests with an eye on reduced volatility vs. the S&P 500. Market Momentum , like BXM, is an options writing strategy seeking to reduce investment volatility and improve risk adjusted returns for investors. 6. The model portfolio (BXM) utilizes the S&P 500 as its basis. Market Momentum differs from BXM in that the underlying securities are primarily selected on the basis of “relative” value. This simply means that sectors are compared with one another and Market Momentum generally invests in the sector or sector(s) trading at the greatest discount or the smallest premium relative to its historical average valuation. Other factors are also considered including sector earnings growth and expected return versus other available sector instruments. Advisor believes this gives Market Momentum a higher margin of safety than repeatedly investing in the S&P 500 on a rolling basis without regard to value or prevailing economic conditions, while preserving liquidity. 7. The BXM model on which Market Momentum is compared is a non-traded index. As such, results do not represent actual trading or investment and do not reflect any impact that material economic or market factors may have had on the advisors decision making if advisor had been managing live money during the period the model covers, including transaction, fund, or management fees. 8. Market Momentum also differs from the BXM model in that Market Momentum seeks to reduce investment during corrective or recessionary economic periods while BXM stays invested regardless of economic or market conditions. Advisor believes this will better protect capital in comparison to BXM but such action is materially different than staying invested in all market conditions. This action may cause Market Momentum to have reduced participation in markets that continue to move up despite Advisors reduction in investment. 9. Advisor clients have experienced results that exceed the performance of the benchmark to date. There is no guarantee Market Momentum will continue to outperform BXM in the future regardless of Advisor efforts to do so. 1. The performance of the broad market in the form of the Dow Jones Industrial Index over the same time periods is included for live portfolio comparison to help investors understand market conditions present during the period covered by live investment. 2. The Index results do not include brokerage, transaction, or Advisor fees. Live portfolio results include all fees, including Advisor Management fees. 3. Actual results reflect limited reinvestment of dividends and other earnings. 4. Investing involves risk, including risk of loss and/or principle. Portfolios compromised of companies matching the profile of those selected for including in Durable Opportunities have historically displayed superior risk adjusted performance to the Index, but there is no guarantee that will continue into the future. Durable Opportunities is designed to provide investment in companies that firm believes meet a stringent set of criteria firm believes reduces the likelihood of permanent capital impairment while allowing investors to participate in investment in companies firm believes will stand the test of time and provide superior long term returns. While the firm believes the portfolio is capable of outperformance on this basis, there is no guarantee it will do so. Comparisons with the Dow Jones are included to help the average investor understand how an investment in Durable Opportunities may differ from investment in a concentrated index fund such as a Dow Jones Industrials index fund. Durable Opportunities is not restricted to investment in industrial companies or in companies with a specific level of capitalization, unlike the Dow Jones. 5. Durable Opportunities is primarily a value driven strategy; when valuations in holdings become overly stretched versus their historical average valuations, the Advisor may reduce exposure to those holdings by either liquidation or hedging, and may re-allocate funds into a holding which is priced in a more reasonable range in comparison to it’s typical historical valuation. Periodically, Durable Opportunities may allocate a small but measurable percent of assets (up to 5%) in volatility linked instruments in an effort to better manage the portfolio. Benchmark comparisons are made on a best available basis – meaning that live performance is compared with the benchmarks the firm believe to be suitable for simplicity of comparison. However, there is no guarantee future volatility or performance will be either less than, equal to, or greater than the volatility or performance experienced in the Dow Jones Industrials although the firm invests with an eye on reduced volatility vs. the Dow Jones Industrials Index. 6. Durable Opportunties invests in companies firm believes to possess a Durable Competitive Advantage. Such companies are likely to be around for decades, easing the concern of principal return. DCA companies often suffer less in bear markets and usually lead recoveries. These companies allow ACI to build portfolios with minimum expected returns that may be in the mid-single digit range over any 3-5 year period which may provide long term stability partnered with long term growth in equity. There are no guarantees the strategy will be successful in this endeavor. 6. The Durable Opportunities portfolios also differ from the benchmark comparison in that Durable Opportunities reduce investment by hedging or raising cash during recessionary economic periods while Dow Jones Industrial Index reflects 100% investment at all times regardless of economic or market conditions. Firm believes this will better protect capital vs. model but is materially different than staying invested in all market conditions. This action may cause the Durable Opportunities portfolio to experience reduced participation in markets that continue to move up despite Advisors reduction in investment. 7. Advisor clients have experienced results that have lagged the performance of the benchmark to date. This lag is due to a number of factors, primarily the fact that the current high valuation investing environment has made it difficult to identify companies that fit the parameters of Durable Opportunities at a desirable valuation level. Different clients allocate different dollar amounts to Durable Opportunities at different times, which has also impacted the performance of the overall portfolio. 4. Investing involves risk, including risk of loss and/or principle. While the back tested Full Cycle Portfolio model has historically shown desirable performance versus the S&P 500 on a risk adjusted basis, there is no guarantee that will continue into the future. Full Cycle Portfolio is designed to provide reasonable returns for the same or less risk than the broad market on a risk adjusted basis in all phases of the economic cycle by holding risk weighted non-correlated assets, and while the firm believes model portfolios are capable of continued outperformance on this basis, there is no guarantee they will do so in the future. Comparisons with the S&P 500 are included to help the average investor understand how an investment in the Full Cycle Portfolio may differ from investment in an index fund such as an S&P 500 index fund. 5. The model for the Full Cycle Portfolio is built of diversified, liquid sector and index securities, most frequently low cost ETFs and low cost funds. The live Full Cycle portfolio does not follow the Full Cycle model exactly – variances in investor contributions & withdrawals result in measurable drift from the model. Over time, client accounts come closer in line with the Full Cycle model. Full Cycle live portfolios may differ from the Full Cycle model in an additional material way; when valuations on certain sectors become overly stretched versus their historical average valuations, the Advisor may reduce exposure to those sectors in favor of a comparable position which is priced in a more reasonable range in comparison to it’s typical historical valuation. firm believes to be suitable for simplicity of comparison. However, there is no guarantee future volatility or performance will be either less than, equal to, or greater than the volatility or performance experienced in the model or the S&P 500 although the firm invests with an eye on reduced volatility vs. the S&P 500. 6. Full Cycle invests in diversified components of the global financial markets and broad economy by balancing risks with non-correlating or reduced correlation assets in opposition to one another each of which is designed to prosper in some phase of the economic cycle and intended to offset reduced or poor performance in other portfolio holdings. 7. The Full Cycle model results do not represent actual trading or investment and do not reflect any impact that material economic or market factors may have had on the advisors decision making if advisor had been managing live money during the period the model covers, including transaction, fund, or management fees as detailed above in item #2. 8. Full Cycle live portfolios also differ from the Full Cycle model in that the live portfolio may be rebalanced more or less frequently depending on prevailing market conditions. While firm believes this difference positions portfolio for improved risk adjusted performance, it is not clear that this difference results in clear over or under performance versus the Full Cycle model. 9. Advisor clients have experienced results that slightly outperform the performance of the model to date. This outperformance may or may not persist. In general, the longer a client has been fully allocated to the Full Cycle portfolio, the closer it is to model performance. 1. The performance of the broad bond markets over the same time periods is included to help investors understand market conditions present during the period covered by live investment. 4. Investing involves risk, including risk of loss and/or principle. While the closest benchmark for Fixed Income has historically shown reduced volatility and reasonable performance versus many classes of fixed income investments, there is no guarantee that Fixed Income that will continue such performance into the future. Market Momentum is designed to provide reasonable returns for less risk than the broad market on a risk adjusted basis, and while the firm believes the portfolio is capable of outperformance on this basis, there is no guarantee it will do so. Comparisons with US Aggregate Bond Market and PIMCO Total Return are included to help the average investor understand how an investment in Fixed Income may differ from investment in an alternative index or fixed income fund. 5. The closest benchmark for Fixed Income is the Pimco Total Return Fund. Fixed Income differs in key ways from BOND – including selection of underlying investments and reduced diversification. Benchmark comparisons are made on a best available basis – meaning that live performance is believed to be compared with the closest possible benchmark for simplicity of comparison. However, there is no guarantee future volatility and performance will be either less than, equal to, or greater than the volatility and performance experienced by the benchmark although the firm invests with an eye on out performance. 6. The benchmark may include securities not contained in Fixed Income, and vice versa. Fixed Income currently holds significantly more cash than PIMCO Total Return Fund, a situation likely to continue in the near future. This action may cause Fixed Income to have reduced participation in markets that move up despite Advisors reduction in investment. 7. Advisor clients have experienced results that lag the performance of the benchmarks to date. There is no guarantee Fixed Income will continue to outperform benchmarks in the future regardless of Advisor efforts to do so.